– Five Adhans a day (Shia combine the 5 prayers, on a daily basis which can be argued as valid practiced under certain conditions, as Sunnis also combine prayers. However, the Sunnah of the Prophet that was followed by his family and companions always was that it is better to pray all prayers at five different times a day, yet in Tehran even the Mosques and religious people combine their prayers, hence it is the only ‘Muslim’ capital in the world where you will hear only three Adhans a day. Yet this regime and the Shia clergy claim to follow the “true” Sunnah! – Sunni run Mosques. 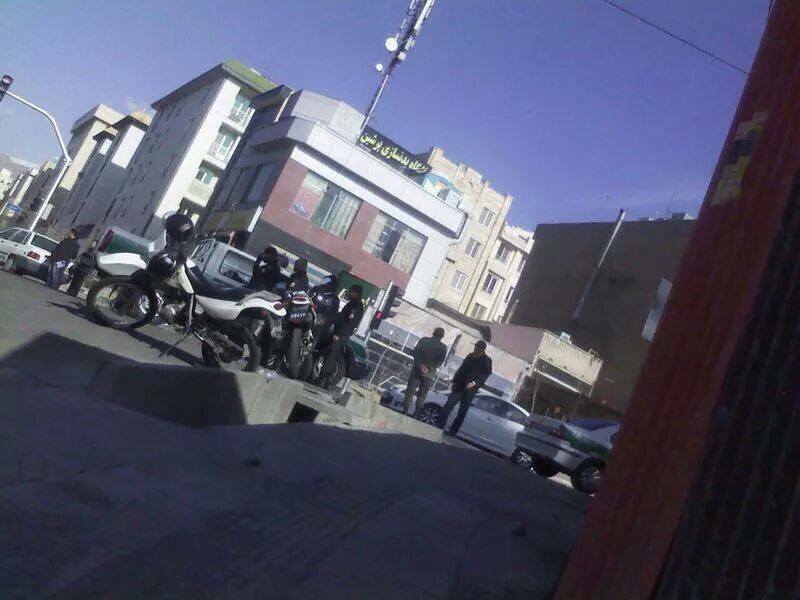 You will never find a single Sunni Mosque in Tehran (although there are Shia Mosques+Husseiniyyats+grave yard and actually a whole neighbourhood (run by the Saudi Shia Rafidi Nakhawilah tribe, type: نخاولة المدينة to see their public mass-self-flagellation gatherings, even in public!) of Shias in Madinah city, a 99% Sunni city! ), despite the fact that there are over 40 Churches (with massive crosses and other signs of kufr), Synagogues (including Jewish schools and even a Jewish run hospital!) and even a Sikh Temple in Tehran. Yet Sunnis are prevented to run a single Mosque according to their traditions and schools of thought. 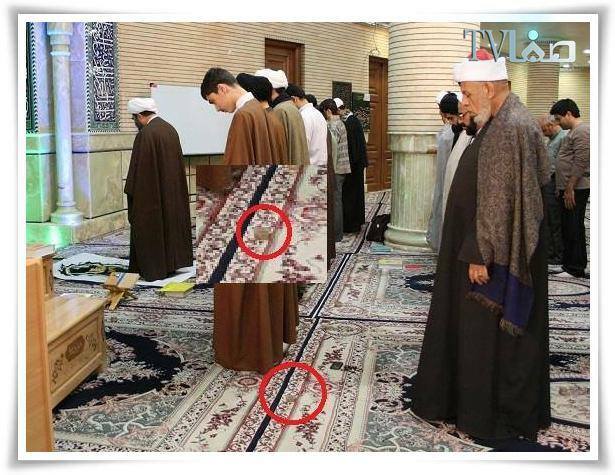 What does this tell you when even the capitol of the English, the French, the American, even Jewish cities like Haifa allow Sunnis (and Shias) to run their own Mosques, yet Tehran is scared of Sunnis having a single Sunni Mosque in the capital of Iran where Sunnis (like in all of Iran) make up the largest minority?! 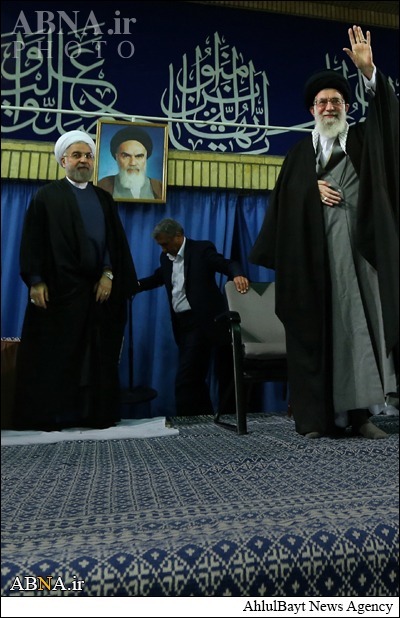 Well, the difference this time is that the Iranian regime prevented Sunnis from holding their Friday prayers in one of their rented houses (yes, these are the places that insincere Iranian media outlets and their stooges in the west sell as ‘Sunni Mosques of Tehran’!) 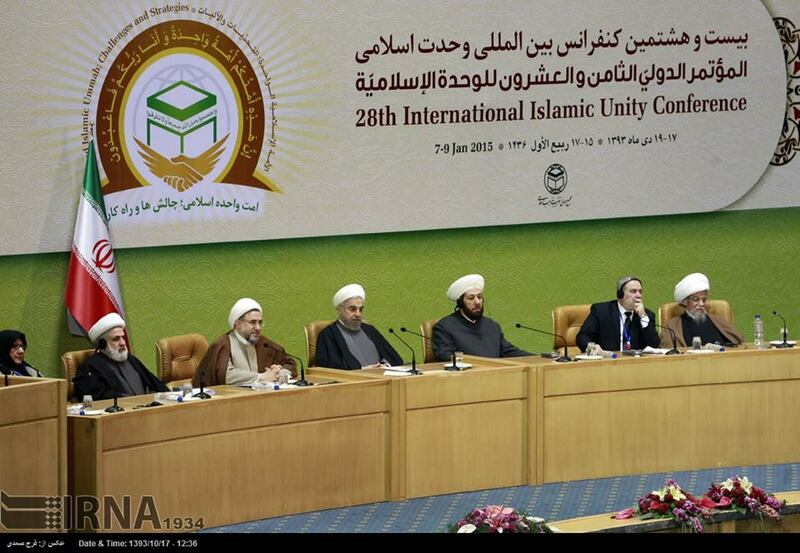 during the The 28th Islamic Unity Conference that was held in Iran’s Capital City of Tehran. 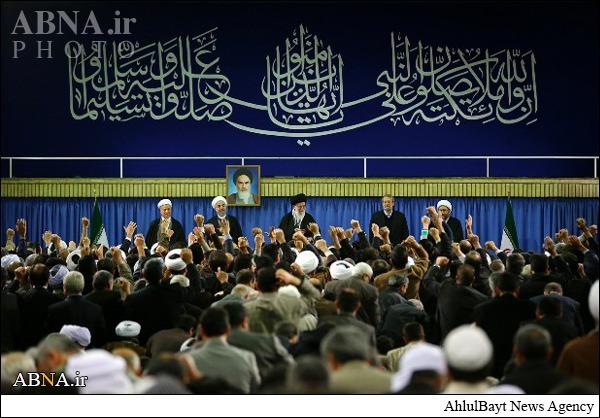 Of course everyone knows this conference is a farce, even the likes of ‘Ayatullah’ Rafsanjani said that these conferences didn’t bring any positive results and that it is actually the Iranian regime, based on the minority secterian Shia beliefs that is the root cause of all secterianism. 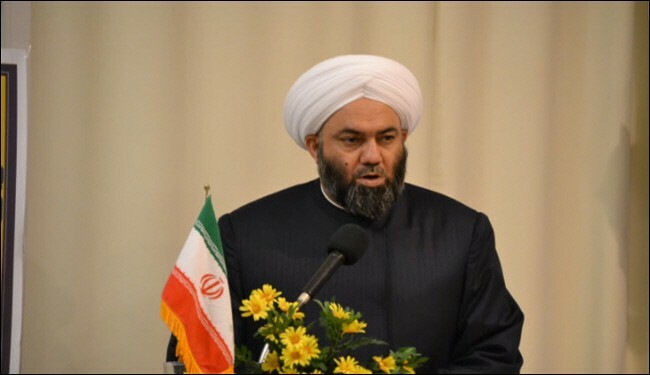 Since almost three decades Iran has managed to fool (and often buy) or to force (the Sunni scholars of Iran themselves who will likely face problems if they do not attend the conference) and exploit these conferences for their very own agenda which is to show publically that they are the wellwishers of all Muslims, Sunnis and Shias alike and that Sunni Iranians are living in a heaven of peace and harmony with a leader such as the Pharao and Kisra at the same time named Khamenei who (as a controversial scholars of a minority sect within Islam) portrays himself somehow as the Imam of the Muslim Ummah. 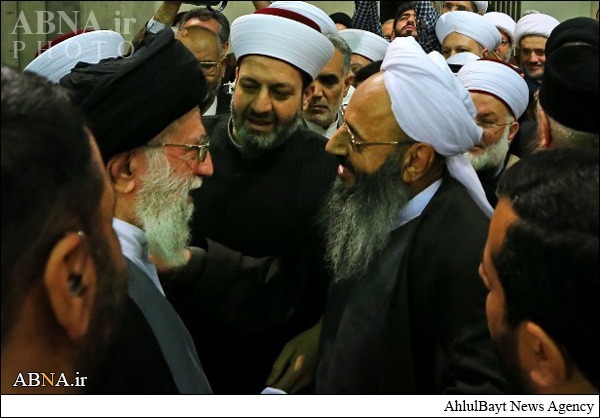 Here take a look at the ‘Sunni’ scholars who are eager to run to Tehran (for whatever reason, their tickets are definately for free …) and kiss Khamenei the tyrant (you can find all these photos on the net on official websites of the Iranian regime like the ABNA website). 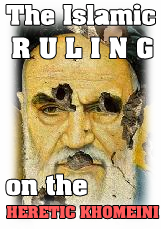 Nothing but a farce where Khamenei is intrdocued as the ‘Imam of the Ummah’!!! 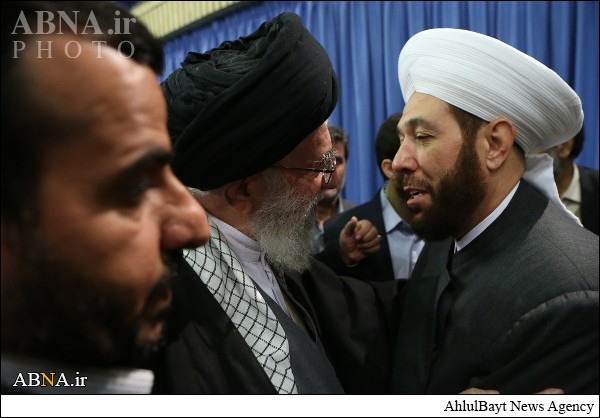 In illusion the Rafidis, particularly the Iranian regime and its adherents live, they cherish someone as the ‘Imam of the Ummah’ who is a controversial figure even amongst Shias themselves (who oppose Khamenei and the Wilayat Al-Faqih system, let alone the Sunni world (who do not believe in the essense of where Wilayat Al-Faqih is apparently derived from i.e. the so called Wilayah-divine leadership of Twelve Imams. 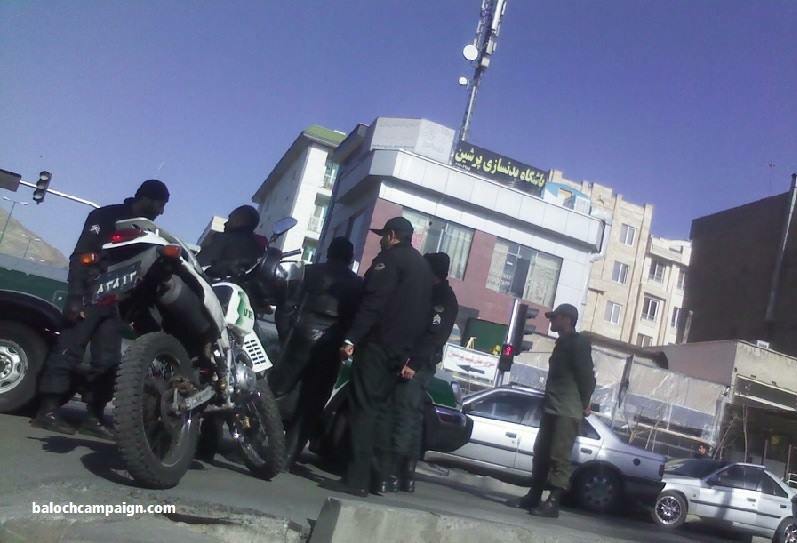 The idol Khomeini is present as usual, literally everywhere in Iran you can see a portrait (and even statues) of him. You can expect that from monarchies (the ones Shias love to bash in the Gulf), from secularist tyrants in the middle east and elsewhere, but from an ‘Islamic Republic’?! 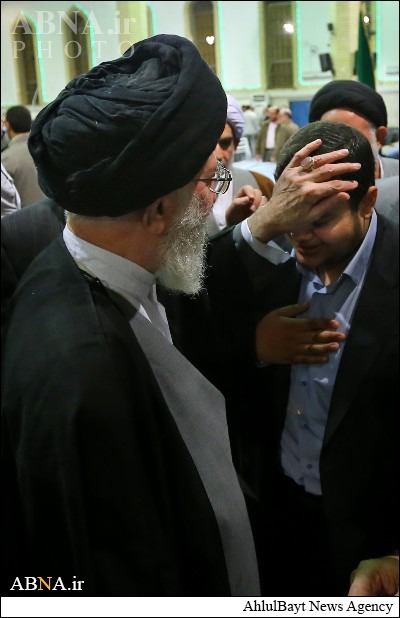 ‘Sunni’ who literally can’t wait to seek blessings from the crippled hand of Khamenei. Well, that’s what ‘true’ Sunni do and seek after all, isn’t it? Here we have a professional charlatan. The kind of Sunni the Rafidi regime of Iran obviously loves. 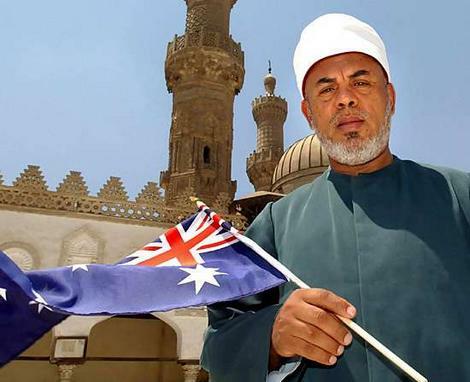 ‘Sheikh’ Taj El-Din Hamid Hilaly, the former ‘Mufti’ of Australia of Lebanse-Egyptian origin. Known for his rude behaviour and plenty of videos (on youtube) praising Shiism whenever he can (that’s what Sunni Muftis do in their free-time, isn’t it?) this fraudster was caught on camera vandalising the Lakemba Mosque (his own Mosque!) and then calling police to report the vandalism In March 2009. Video footage is all over net, where he can be seen kicking the door of his own office— probably to frame them and gain public support or for insurance fraud -before he was unwittingly caught on security footage. The tape is being used by many Anti-Islam websites, including Arab Christians satellite channels who are using it to expose ‘Islam’. Well, these kind of ‘Sunnis’ are being invited to Iran’s events, tells alot, isn’t it? 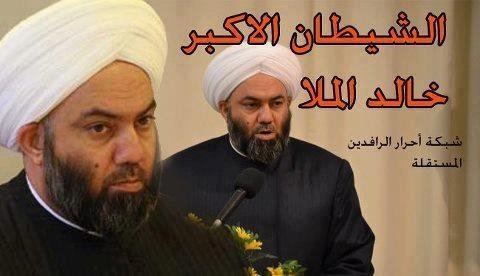 He is a well known sell-out in Iraq, the most moderate Sunnis of Iraq despise him. He caused outraged when he went as far as to defend the Shia militias who even according to some more sincere Shias where responsible for mass killings of Sunnis . No wonder that many rightfully suggests that he is not a Sunni at all. 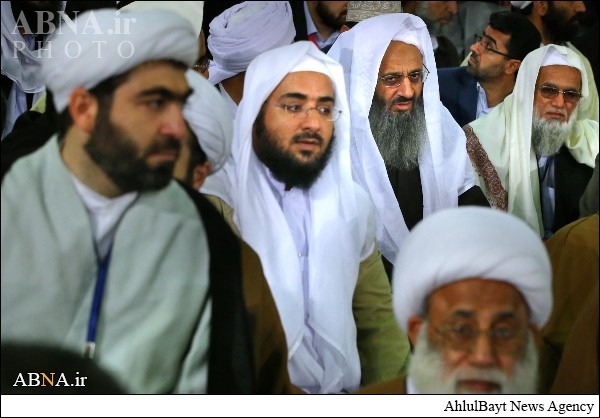 Iran as many stooges and it is a well known method in Iran to support either the most deviant Sunni scholars possible, or even Shias who are not Sunnis at all, they just appear in traditional Sunni robes and turbans. 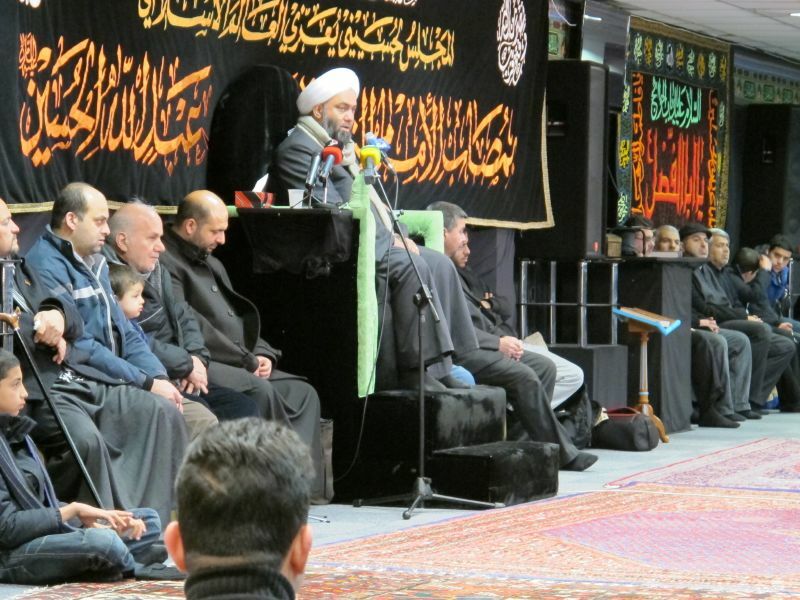 As for Al-Mulla (the Iraqi version of the fake Sunni Mufti of Syria), he sometimes forgets the role he plays and actually gives lectures in Shia self-flagellation centres (aka Husseiniyyats). 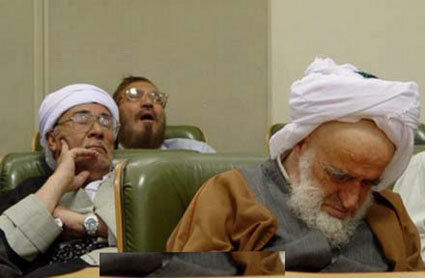 Now that’s a ‘Sunni” the Iranian regime likes and needs and that’s what Sunni scholars do in their free time, isn’t it? 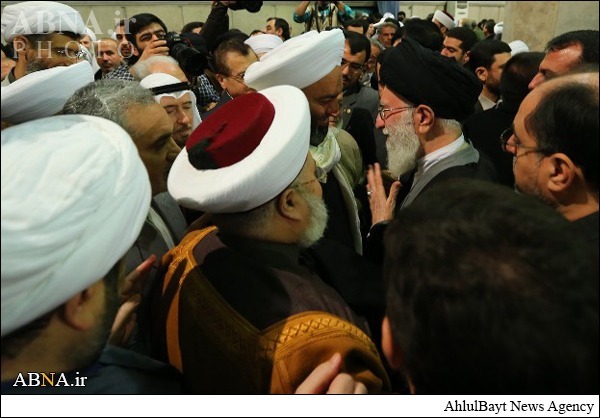 Khaled Al-Mulla with other Arab Sunnis, eager to kiss Khamenei. You can imagine how ‘Sunni’ these bunch must be,considering the ‘Sunniness’ of Al-Mulla, the Munafiq. 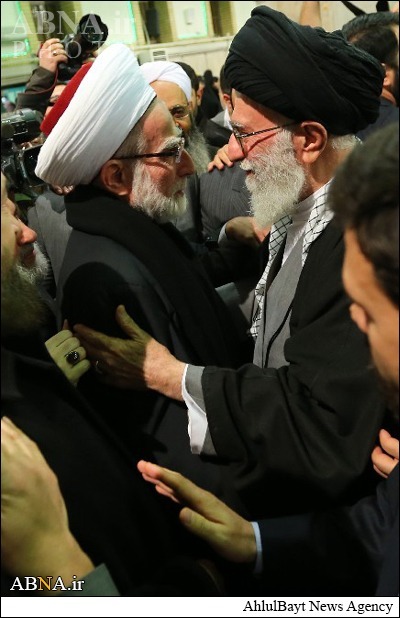 Ahmad Badr Al-Din Hassoun, the palace scholar and ‘Sunni Mufi’ of the Alawite regime of Assad eagerly approaching his idol Khamenei. Let’s ask the Syrian people how much ‘Sunnism’ they see in this traitor and terrorist who openly stated: ‘We will prepared martyrdom-seekers (suicide-bombers) wh are already among you in Europe if you attack Syria! Can you see the Nour (light) in the face of the obedient slave Hassoun, the ‘Sunni Mufti’ of Bashar and Khamenei? How lovely. Fooling themselves, the weak minded and gullible or both? 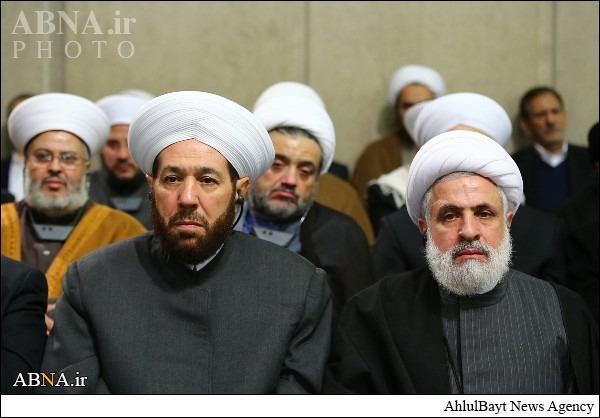 Three Iranian Sunni Shaykhs and students. Just a quick reminder, Shaykh Abdul-Hamid is the very Iranian Sunni Shaykh who openly risks his life (like being involved in an fatal ‘accident’. This is how many outspoken Iranians Sunnis pass away and this is how tyrannical regimes assassin their opponents) by publically complaining about the oppression Sunni Iranians face, not just in Shia majority cities, but even in their own Sunni majority provinces and cities! 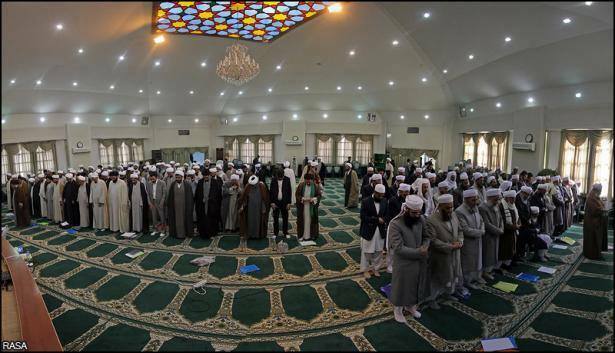 Well, after the pictures where taken and Iran and its stooges in the west (such as PRESS TV) made them viral for their propaganda, the Sunnis of Tehran invited Shaykh Abdul-Hamid to lead the Friday prayer in one of the rented houses (remember, no Sunni Mosques in the captial of the ‘Islamic Republic’!) in Tehran in the Pounak neighborhood. The irony here is that this carefully-planned operation appears to have been deliberately scheduled to take place on the final day of the so called Shia-Sunni ‘unity-week’, which began this year on Monday 5 January. The actions of the authorities today, however, sent a clear message to the Sunnis of Tehran that the ‘unity-week’ is nothing more than an empty slogan, actions speak louder than words but the majority will be fooled by words and propaganda of the Iranian regime, this is the sad reality of the Muslim Ummah today. Despite Sunnis being the largest religious minority in the Shia majority Iran, with records indicating that there are more than a million Sunnis living in Tehran alone (as confirmed by Iranian officials themselves), the Iranian government has prevented a Sunni mosque from being built in Tehran. The only question here is will the Muslims, the Ahl Al-Sunnah who are not a sect but the Ummah will finally wake up, even the last one amongst us who feels an atom of sympathy to this heretical Anti-Sunni regime that has caused nothing but havoc and chaos and oppression to the Muslim world, rather even to its very own people? 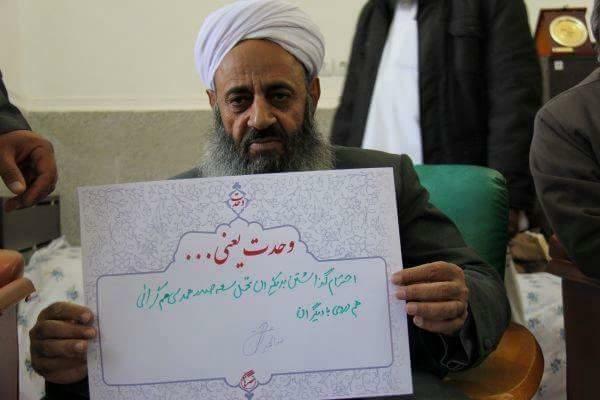 This entry was posted in N E W S, No Sunnah Masjids in Tehran!, The Neo-Safavid State. Bookmark the permalink.